Who says you can’t go all out on eye-catching colors and prints? 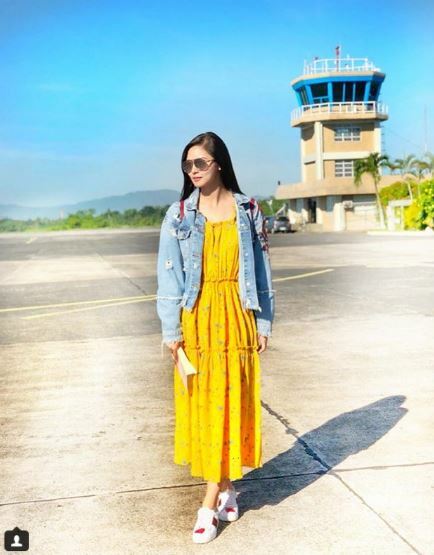 The more the merrier, as they say, as Maris Racal rocked a refreshing tropical pineapple print with Gen Z yellow and pink, while Kim Chiu paired her canary-colored dress with a jean jacket. Florals for summer and spring is really nothing new, but there’s a reason why it’s always so ubiquitous this time of the year. The fresh colors are easy on the eyes and the light fabric dresses are breezy to wear. Jumpsuits are an easy choice for a stylish yet comfy summer wear. This look is perfect for traveling comfortably while still looking chic! You can never go wrong in white whatever the season. Incorporate your activewear into your wardrobe to create a stylish athleisure inspired look. 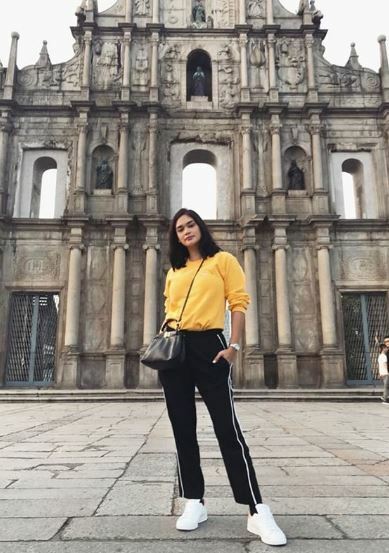 It’s also another fashion inspo for your travel OOTDs.